Sandy Glen's Arctic expedition. 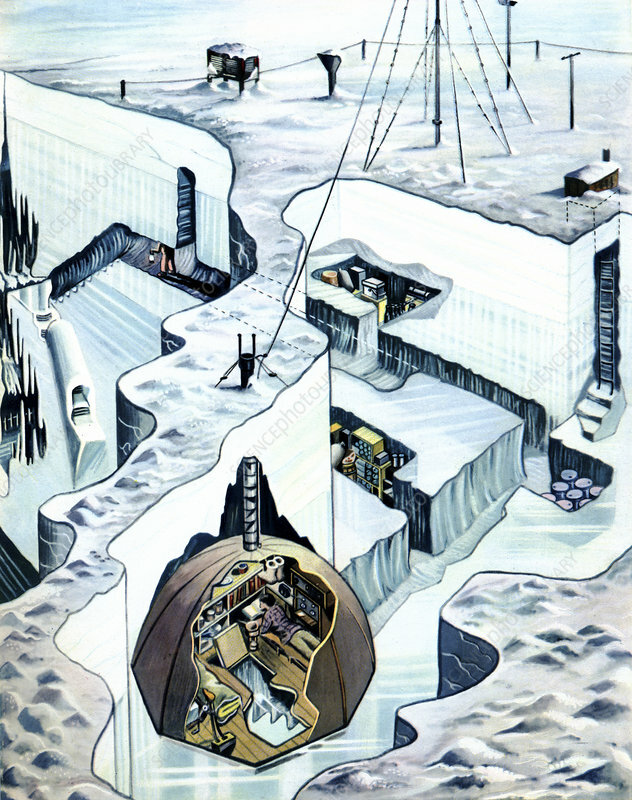 Historical illustration showing the layout of the Scottish explorer Sir Alexander 'Sandy' Richard Glen's (1912-2004) underground camp during his Arctic expedition of 1935-1936. During this trip, Glen led an Oxford University expedition that established a station on the ice cap of North East Land and carried out research in glaciology, geology and radio propagation in high latitudes. Image from 'Wonders of Peace and War', by Geza Supka, Hungary, 1939.